Once you’re done gawking at the NASA photos and memorabilia on the walls of Frenchie’s Italian Restaurant, say hello to the affable owner, Frenchie himself, who came to Houston from the Island of Capri. 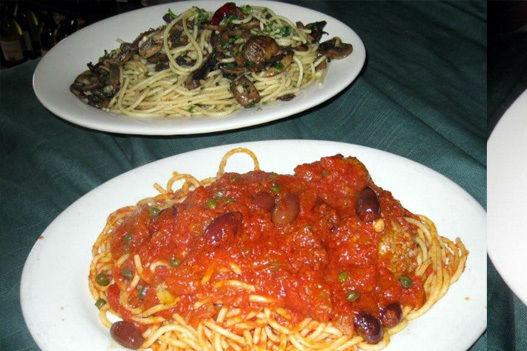 Both his spaghetti with clams and his spaghetti with olive oil, garlic, and mushrooms are good bets. But the main attraction is the dinner menu’s $27 Spaghetti Fisherman, a big bowl filled with spaghetti in red sauce topped with mussels, clams, scallops, fish, and shrimp—the enormous serving will easily feed two.